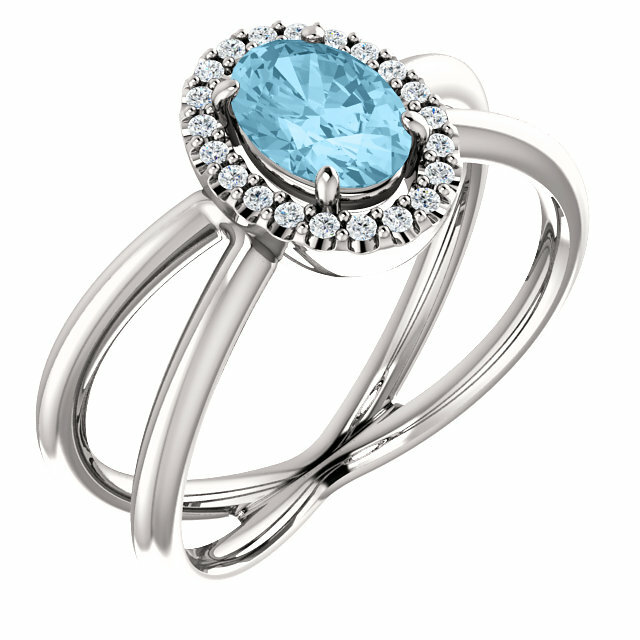 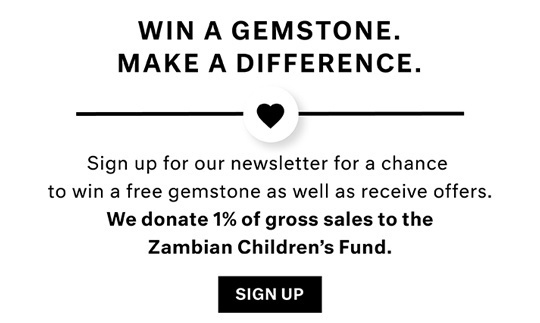 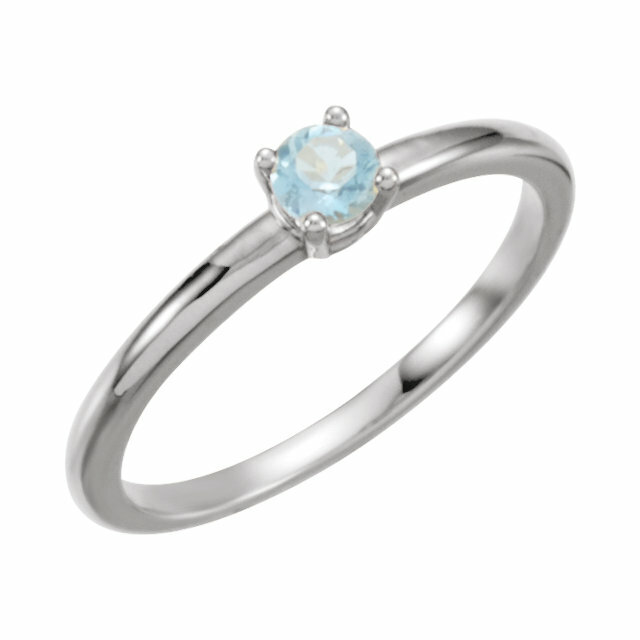 Description Who Can Resist a Glittering Watery Blue Aquamarine Gemstone! 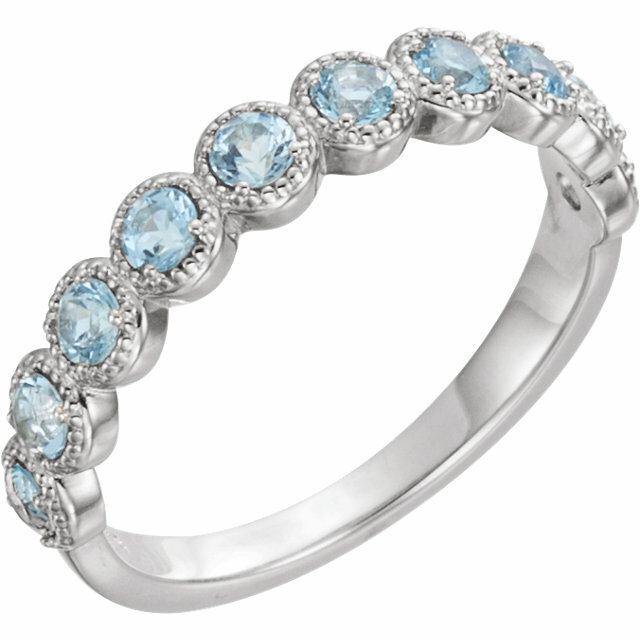 A Thick Band Boasting 60 Pave Diamond Accents Creates a Dramatic Setting for a Genuine Aquamarine Centergem Flanked by Diamond Side Gems. 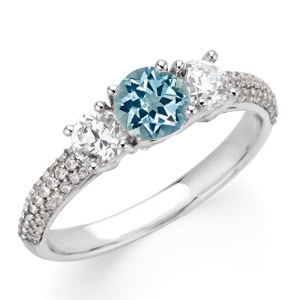 A Splendid Choice for a Colored Gemstone Engagement Ring.